Posted on November 8, 2016 by Michelle M.
Cooper wouldn’t let something like being stuck in a tub keep her from casting her ballot. 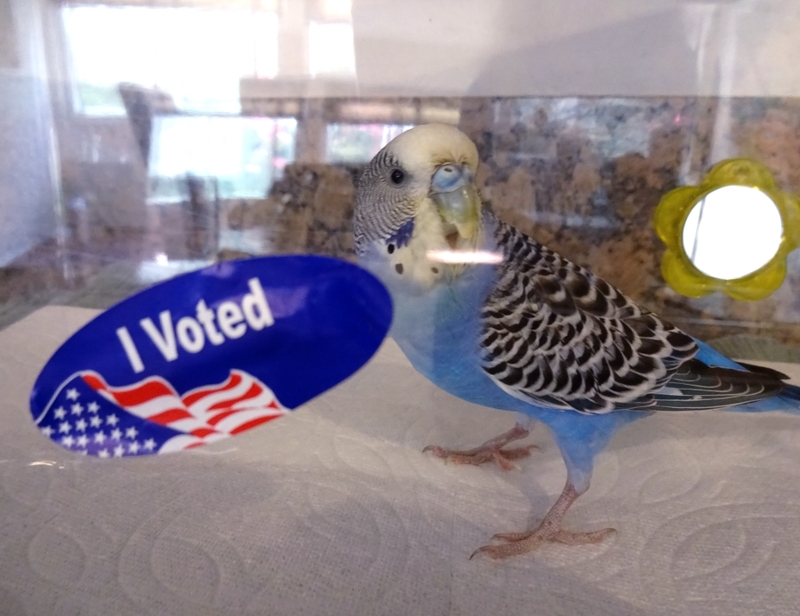 This entry was posted in Holiday Fun and tagged budgie, budgie vote, Cooper, Election Day, holiday fun, parakeet by Michelle M.. Bookmark the permalink. 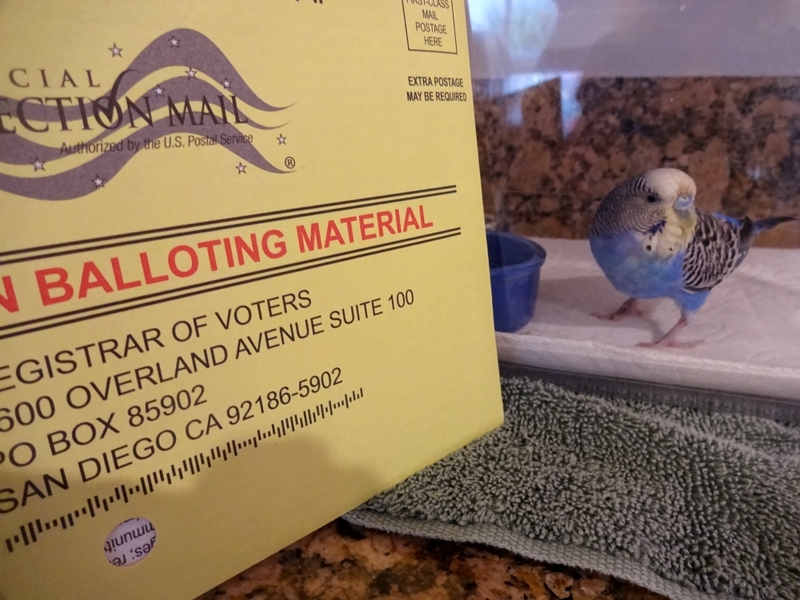 The candidates’ platforms do not address the important budgie issues.